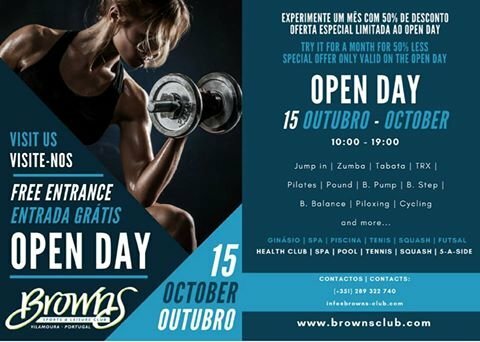 A great opportunity to try out the facilities at Browns Health Club for free on the 15th October. Gym, fitness classes, spa, pool, squash and more! Give it a go and, if you like it, you can sign up for a half-price month's membership - this is a special offer, valid on the Open Day only. For more information about the Open Day visit Brown's Facebook page.